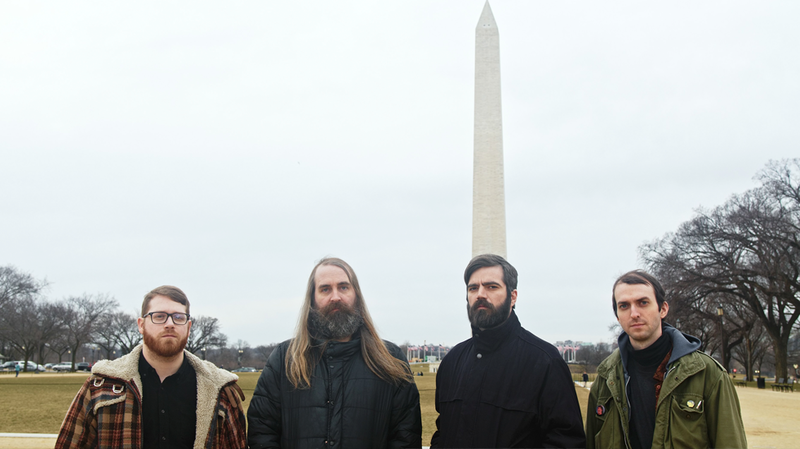 Indie punk literati Titus Andronicus are back with (I Blame) Society, their latest single for upcoming LP An Obelisk, set for release on June 21. The album is set to be a terse, sub-40 minute rock blast. This wouldn’t be surprising were it not coming from a band whose bread and butter is literate, long-form indie rock. Their 2015, 29-track monster A Lamentable Tragedy was a colossal modern rock opera, and their most recent effort A Productive Cough embraced loose, spacious indie barroom jams. (I Blame) Society points to an entirely different approach. Under the direction of producer Bob Mould (ex-Husker Du, Sugar) this is the punchiest the band has sounded in… possibly forever. The guitars pack a serious wallop and the pace is ferocious. Vocalist Patrick Stickles’ throat-shredding vocals cut harsh through the mix and have never sounded better. While Titus Andronicus’ approach is certainly less laid back, the choice of words is as well-informed as always. Stickles has always had a way with them and this is no exception, but this time he spares the metaphor and focuses on delivering some brutally memorable turns of phrase. This is furious stuff, denouncing conformism, cronyism, political control, and even big pharma (with this zinger: “They line us up in binaries for psychiatry retreats until they/ Finally refine the virus that makes us obsolete”). And it wouldn’t be so effective if it wasn’t so catchy – its genius is in its simplicity. If this is any indicator of the full album, I can’t wait.